Stock status is current as of 4/19/2019 6:29 PMET. 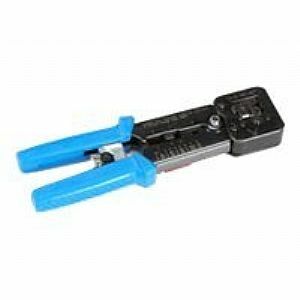 FT1200A is the professionals' choice to crimp and trim RJ-45 and RJ-12/11 connectors. Black Box Corporation logos are registered trademarks of Black Box Corporation. All others trademarks and copyrights mentioned herein are the property of their respective owners.